Home / Entertainment News / Shocking details emerge over the brutal murder of Nation Media employee, MILDRED ODIRA, who went missing and her body found in City Mortuary. 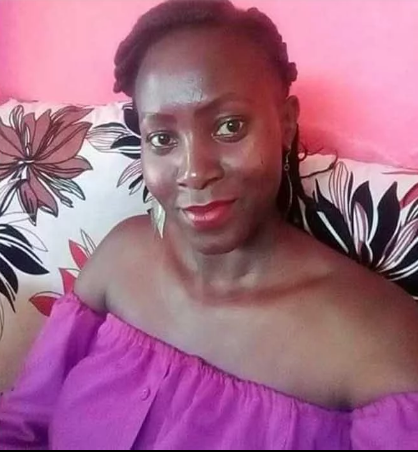 Shocking details emerge over the brutal murder of Nation Media employee, MILDRED ODIRA, who went missing and her body found in City Mortuary. Tuesday, February 5, 2019-A Nation Media Group employee who went missing last week while being taken to hospital was on Monday morning found dead at the City Mortuary by her family. Mildred Odira, a switchboard operator at the Nation Media Group was last seen on Tuesday at 4 am last week by security guards in Kasarani where she lives. On Saturday, Police arrested a taxi driver who was to take her to hospital before she went missing. However, the taxi driver said he drove and dropped the mother of one at the Ruaraka Uhai Neema Hospital. The family went to the hospital and upon inquiry, they were informed there was no patient with such a name. Fortunately, the facility has CCTV cameras and on reviewing the footage it emerged that that the taxi driver was at the hospital but did not drop any patient. It has emerged that Mildred’s killer raped her before hitting her on the head and stabbing her in the neck. Her pants were torn at the top and her inner wear partly lowered. The body was taken to the mortuary last Tuesday at 6.31 am by Kasarani traffic police and booked as an unknown person. “She must have been run over by a car to conceal evidence before being dumped by the roadside. “I want justice done by bringing my daughter’s killers to book.” Mildred’s mother Carolyne said as she described her as a jovial person who cared for those around her.